Food may go through a lot on its journey to your plate, sometimes in ways that are not beneficial to your health. Some things may occur before food is even planted or harvested. For example, crops can be treated with pesticides and fertilizers or transformed through hybridization or genetic engineering. And then there are toxic substances that are added to food either intentionally as ingredients or inadvertently as contaminants while food is being processed. While pesticides and genetically engineered foods can be mostly avoided by choosing organic, it can be challenging to avoid toxins added to food during processing and packaging. Researchers recently found almost two hundred chemicals of concern are used in food storage materials in the U.S. (1). 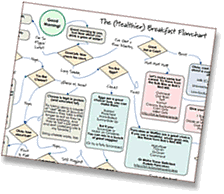 Of these, I’ll focus this blog post on two types of chemicals: phthalates and bisphenol A (BPA), as well as its replacements. These chemicals are components in plastic wraps and food containers and give them flexibility and strength. They are also present in containers of small kitchen appliances like mixers, blenders, popcorn poppers, and water filtration pitchers. So, how are these chemicals a concern for your health? One of the major issues is that they act as hormone disruptors, meaning they interfere with your body’s natural cycles. Studies have shown that some phthalates have been linked to feminization of male fetuses in women who had higher levels in their blood stream during pregnancy (2). BPA has been shown to increase susceptibility to breast cancer or to act as an obesogen, which means that children exposed to higher levels as fetuses are more likely to gain weight later in their lives than those exposed to lower levels (3,4). Please note that products labeled ‘BPA-free’ may have alternatives that have also been shown to be disruptive to hormone cycles (5). So how do you avoid these chemicals in your diet? Several recent studies give some guidance both on ways to avoid them and how hard it can be to do so. Two of these studies tracked levels of BPA and phthalates in people’s urine before and during an intervention where they were asked to eat only unprocessed, unpackaged food. In one study, the levels of these chemicals dropped by more than half during the week they ate unprocessed food (6). In the other study, there were some sources of chemicals that they hadn’t expected and the reductions weren’t as successful (7). In another study, volunteers were asked to eat one serving of canned soup daily for five days. Their BPA levels went up by 1000% (e.g. a 10-fold increase) during that time (8). Because problematic chemicals aren’t well regulated in our food and consumer products, such as the ‘BPA-free’ products containing replacements that can be as toxic as the original, I recommend using non-plastic alternatives for cooking and storage of food and water, like stainless steel, glass, and low-lead ceramic containers. Also, it’s a good idea to use mesh and canvas bags when buying produce and bulk foods and become a collector of glass jars (i.e. canning and food jars) for storage. Avoid processed and packaged food, including canned foods and beverages. Choose organic food whenever possible to reduce exposure to pesticides. Cook and store food in stainless steel, glass and ceramic and avoid plastic containers and nonstick pans. Minimize consumption of animal fats (meat, cheese, and butter), as they accumulate toxins like PCBs and dioxins (9). Avoid char on food (yup, even in barbecue), since it’s highly carcinogenic (10). Enjoy October #Unprocessed in great health! Geueke, B, et al. (2014). “Food contact substances and chemicals of concern: a comparison of inventories.” Food Additives & Contaminants: Part A. Vol 31:1438. Swan SH, et al (2005). “Decrease in anogenital distance among male infants with prenatal phthalate exposure.” Environmental Health Perspectives Vol 113:1056. Bhan, A, et al. (2014). “Bisphenol-A and diethylstilbestrol exposure induces the expression of breast cancer associated long noncoding RNA HOTAIR in vitro and in vivo.” The Journal of Steroid Biochemistry and Molecular Biology, Vol. 141:160. Trasande, L, et al. (2012). “Association Between Urinary Bisphenol A Concentration and Obesity Prevalence in Children and Adolescents.” Journal of the American Medical Association. 308:1113. Rudel, R, et al. (2011). “Food Packaging and Bisphenol A and Bis(2-Ethyhexyl) Phthalate Exposure: Findings from a Dietary Intervention.” Environmental Health Perspectives. 119:914. Sathyanarayana, S. et al. (2013). “Unexpected results in a randomized dietary trial to reduce phthalate and bisphenol A exposures.” Journal Exposure Science & Environmental Epidemiology. Vol. 23:378. Carwile, JL, et al (2011). 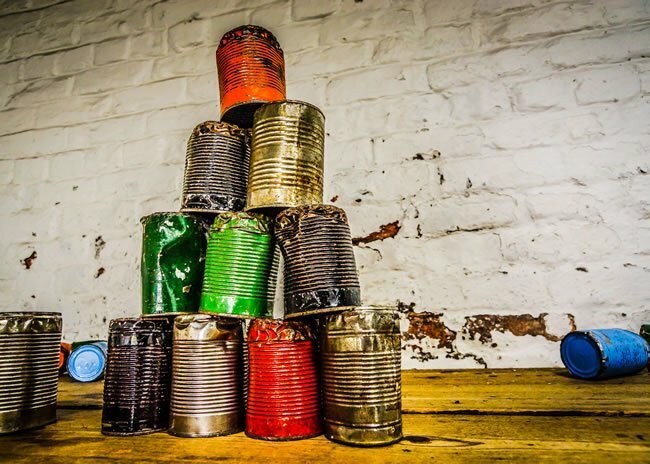 “Canned Soup Consumption and Urinary Bishphenol A: A Randomized Crossover Trial.” Journal of the American Medical Association. 306:2218. Kalantzi, OI, et al. (2001). “The global distribution of PCBs and organochlorine pesticides in butter.” Environmental Science & Technology. 35:1013. 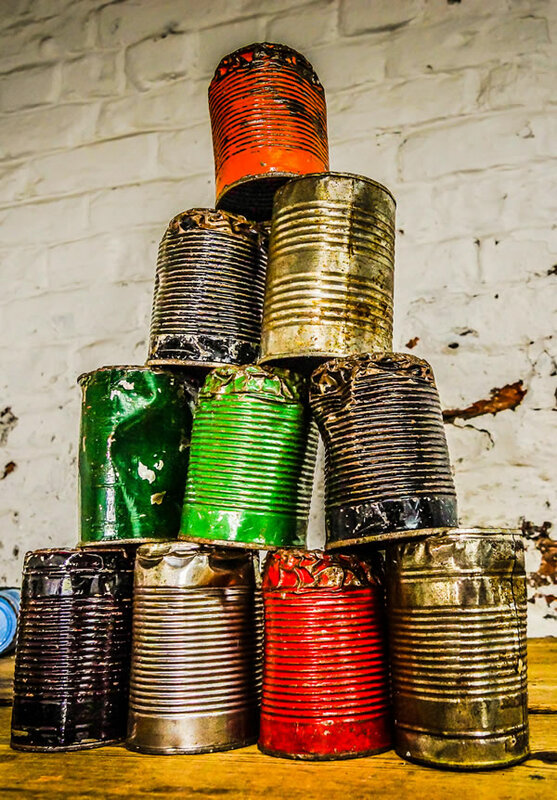 Photo: “Rusty tin cans” © 2013 by Beverley Goodwin. Used under Creative Commons License. 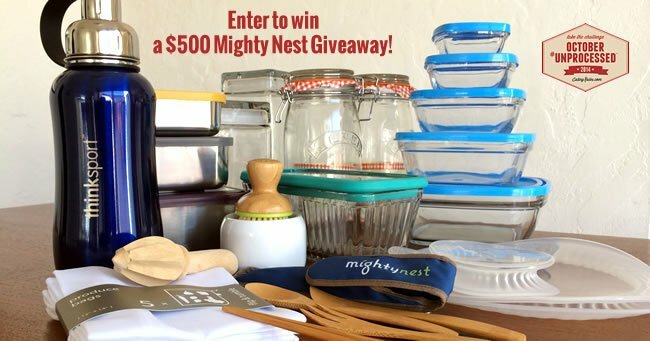 A note from Andrew: There’s still time to enter my $500 Mighty Nest giveaway! It includes a whole bunch of metal & glass containers, which will help you follow Dr. Standley’s advice. Go here to enter! (Entry period ends 10/31/14). As a med student/resident, I have a pretty strong reliance on canned beans and tomatoes, and frozen vegetables as an easy way to make quick meals. I’m well aware of the harmful packaging materials but struggling to find alternatives. I often eat lentils and mung beans but haven’t been terribly successful with other dried beans. I pretty much live on variations of coconut milk, tomatoes, curry, white beans in the winter. I’m a naturopathic physician so I’m much more inclined to discuss these concerns with my patients as well as trying to do better for myself. Any suggestions for online (or print) resources to make healthier choices? Thanks for your article, I hope this opens peoples’ eyes. I hear you and share your frustration. I can find tomatoes canned in glass jars but beans are not available except in cans. I have been very successful cooking dried pinto and garbanzo beans. The former I make ‘refried’ with olive oil and the latter I put in salads and make hummus from. Also, the refried pintos and garbanzo beans can be frozen (without their liquid) so you can make a bigger batch to save time. For veggies – I just learned from another site that you can ‘bake’ a butternut squash in a crock pot (3 hours on high after halving and cleaning) and then you can freeze those. By the way, I have collected pyrex containers for freezing leftovers to avoid glass. Bottom line – be kind to yourself and know that after you graduate you may have the funds to buy safer cooking and storage options. Thank you Laurel! I have quite the collection of canning jars, they’re my favorite for storing bulk bin items. I’ll work on using my crock pot more often. beware of the crockpot as most liners are made in china and contain lead! Thanks for the comment. Do you have a reference for that? I know there are ways to check pet dishes to make sure they’re low lead but haven’t heard yet whether anyone is certifying products like crock pots. I can my own beans. I use mostly Weck glass canning jars. These have glass lids and a rubber ring. Your mason (Kerr, Ball, etc) canning jars still have BPA in the lids. Since the Weck jars are not cheap and I do not have many, I also use Tattler lids for the mason jars. These are plastic, do not have BPA in them, and can be reused. I still do not like using the Tattler lids because it is still plastic and I am not sure what other chemicals are in them even though they do not contain any BPA. It is still better than buying canned beans and vegetables from the store.